It's been a long time coming! This post is super photo heavy so I should have done 2 posts but I hope you will bear with me. We last left the Elf with clothes but no hair. Here's what I did. 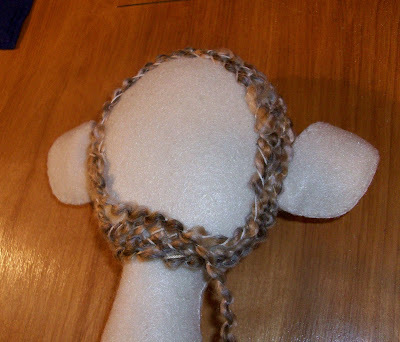 I started with a base of hair sewn on to cover a good portion of the scalp and add fullness underneath. UPDATE: I added links to the bottom of this post for the rest of this series so you can follow along from the beginning. I am going for a intricate braided look without braiding and making myself crazy. I worked late into the night to get this done. It took forever. I used Homespun Yarn by Lion. It's awesome. Here she is almost done. You can see some gaps still. 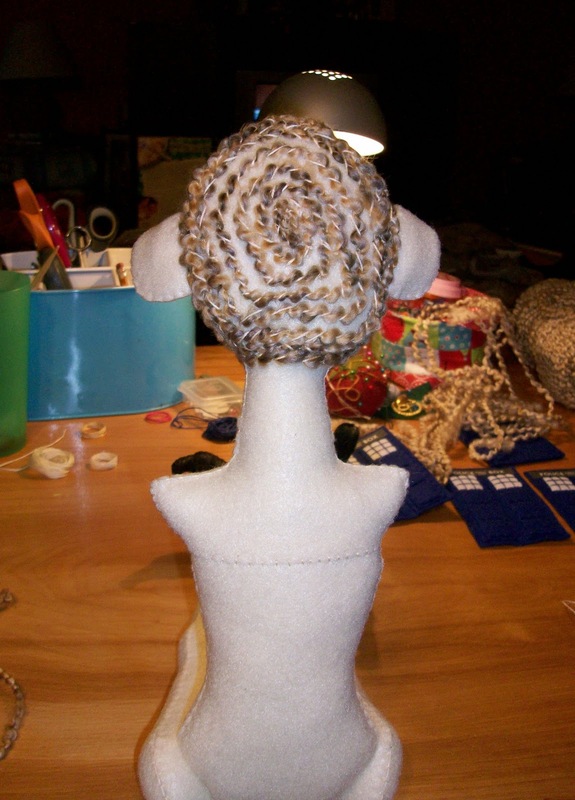 I added another thicker layer and was pretty happy with how her hair turned out. 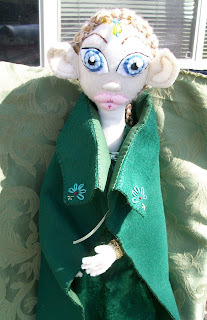 I would have shown the finished doll much sooner but her cloak design was making me crazy. I tend to over think and analyze everything way too much before I just let go and do. Her cloak is made of the same felt as her corset and is lined with a dark green fabric. 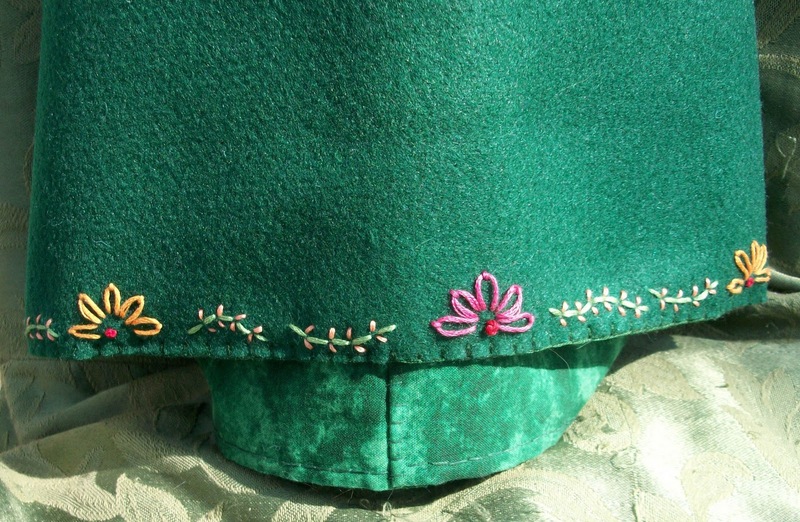 I embroidered similar designs on the front and back of the cloak as on her corset. There is a ribbon that ties the cloak shut. 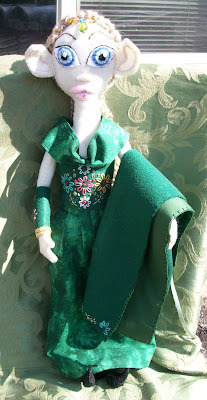 Now you can see her with her arms on. I made her a beaded sort of crown. I did embroidery detail on her arm bands too. 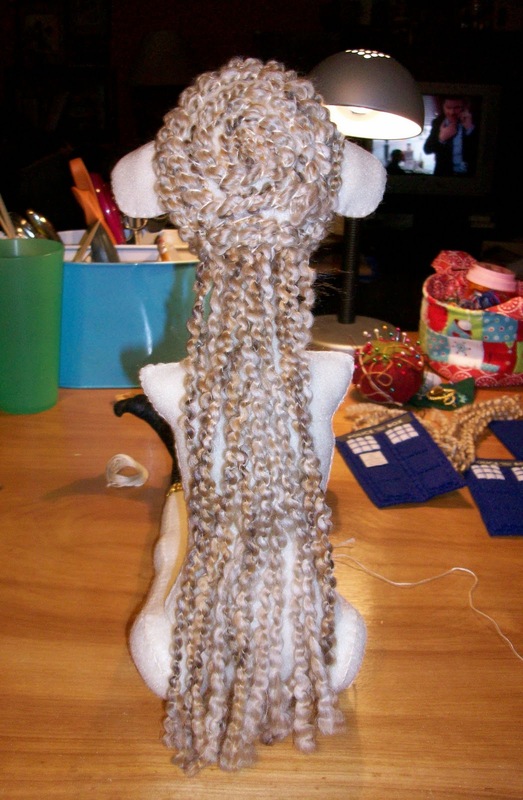 Here's her hair completely done. 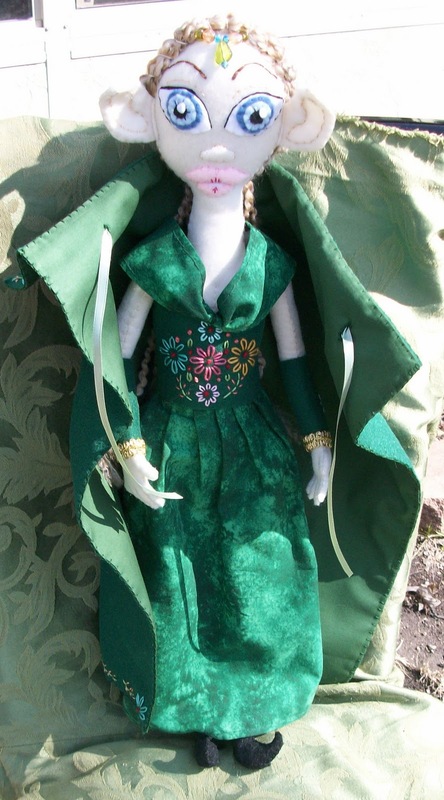 Thanks so much to everyone who followed this doll making journey. For those of you who left comments, you are awesome and I appreciate that you took the time to do so. For those of you who lurked or dropped by I also appreciate you for being interested enough to take a peek. PART 1 CAN BE FOUND HERE, PART 2 HERE and PART 3 HERE. I have two more projects I'm working on but will only show bits and pieces here and there so I don't stress myself out over having to post progress. That's amazing! So many details. Fabulous!! That yarn is fantastic for hair, isn't it?! Rock on! Great job! wowza, you're one talented lady! Tis The Luck of The Irish!